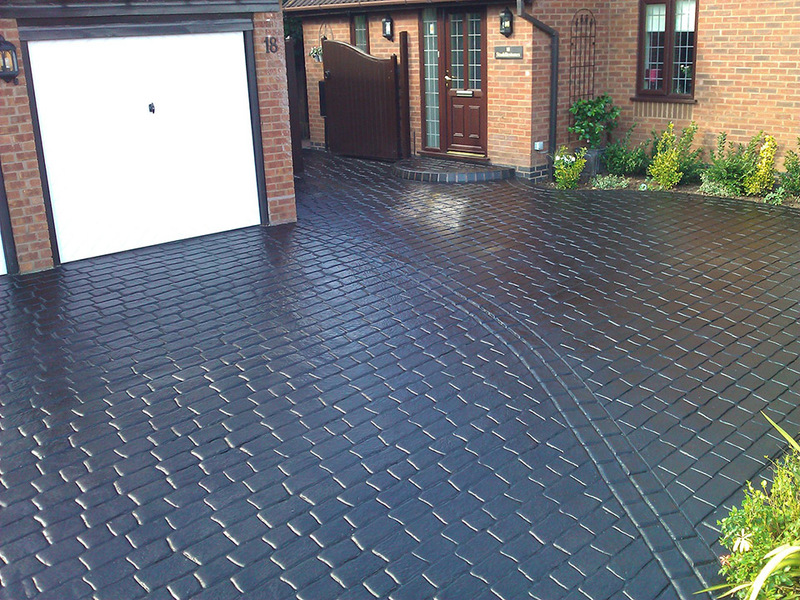 Established in 1989, Impressed Paving Ltd is a family run business based in Droitwich Worcestershire, that specialises in pattern imprinted concrete drives, patios, paths, court yards etc. A beautiful new concrete patterned drive or patio installation can make the world of difference to your home and if installed properly can increase its value. Using a variety of styles and colours it is possible to create the stunning three dimensional effect of natural materials such as cobblestone, slate, stone and brick, that is both durable and almost maintenance free. We use a high strength reinforced concrete, which is coloured and stamped with a colour and pattern of your choice, then later sealed to create the ultimate paving solution. We offer a free no obligation quotation and site survey including general advice from, design, pattern and colour of imprinted concrete to drainage, retaining walls and landscape etc. We are a business built on quality and attention to detail, we are very proud of our reputation with nearly all of our customers being recommended to us. Included in our team of installers are qualified bricklayers and landscapers with over 30 years experience in the industry. This means all aspects of construction and landscaping can be implemented with great efficiency and build quality. Provided the surface water is allowed to drain into a garden/lawn or soakaways, planning permission will not normally be needed. Our site survey will give advice as to the best method of drainage etc. Please do not hesitate to call and discuss your project. If you require your old drive to be recoated or would like the materials for DIY please call us. We at Impressed Paving Ltd offer a variety of solutions for people looking for Concrete Driveways within a 25 mile radius of our base in Droitwich Worcestershire and we are happy to take enquiries from the surrounding areas such as Bromsgrove, Redditch, Kidderminster, Stourport, Stourbridge, Worcester, Alcester, Evesham, Malvern and Birmingham.